hd00:21PANGUITCH, UTAH - JULY 2014: Hot air ballooners come from all over to Panguitch, Utah as it plays host to annual hot air balloon festival. 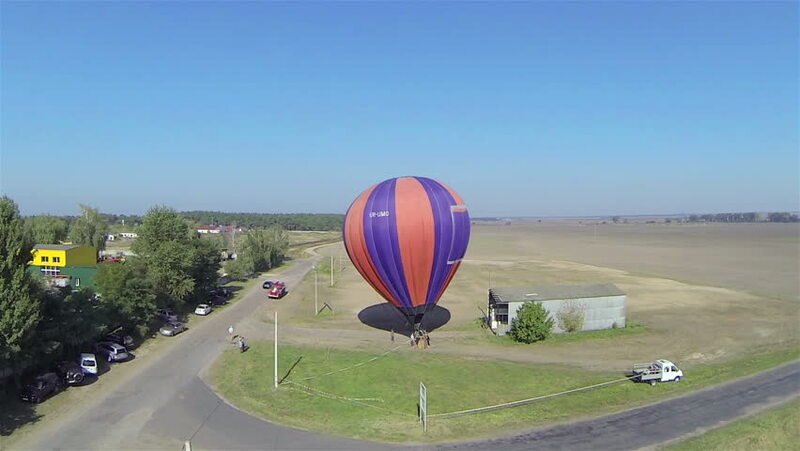 Following a beautiful morning flight a balloon lands. hd00:29Chiang Rai, Thailand - November 30, 2017 : Farm Festival On The Hill 2017, the event in Singha Park Chiang Rai. Balloon show and competition.